I've got exciting news to share with you! 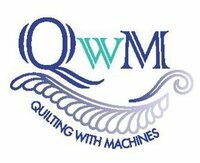 I'll be teaching this fall at the Quilting with Machines quilt show at the Sawmill Creek Resort and Conference Center in Huron, Ohio September 19-22. I'm so excited and honored to have been asked to take part in the show. I'm teaching one workshop class and giving three lectures so it will be jammed packed for me, but I'm really looking forward to it. My workshop is Basic Improv Quilting, and my three lectures are a Q&A session on Modern Quilting, Everyday Inspiration in Modern Quilts, and Integrating Traditional with Modern Design. For more information on my classes, please click on the links above, or shoot me an email. Looking forward to seeing you in September! Congratulations, Heather! Those sound like great lectures.